Installation is in the reverse order of removal ( BR-72 ). 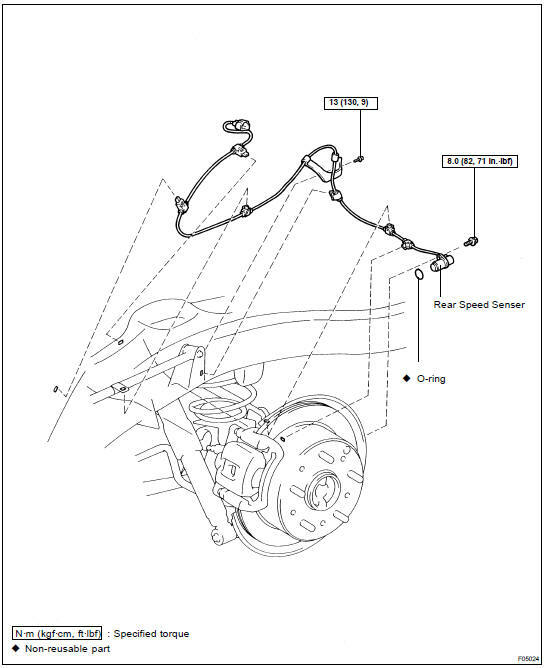 HINT: After installation, check the speed sensor signal ( DI-505 ). (b) Remove the clamp bolt from the upper control bracket. (c) Remove the 6 resin clips, holding the sensor wire harness from the frame, upper control arm and axle housing. (d) Remove the mounting bolt and speed sensor. (e) Remove the O-ring from the speed sensoe.